The latest instalment in the Oceans series introduces an all-female crew. The plot-line is basically what we’ve come to expect, where the leader puts together a crew to pull off a seemingly-impossible heist. 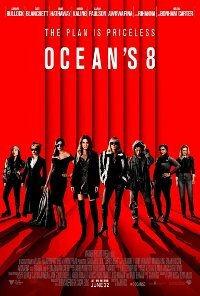 This time around it is Danny Ocean’s estranged sister in the driving seat, and the target is a daring robbery at New York City’s star-studded annual Met Gala. Language Mild to moderate, fairly frequent, comedic.